Passing VCP 4 and what’s next? Just this morning, I attended VCP 4 exam. The exam has 85 questions and you need to complete them in 90 minutes. The total score of this exam is 500 and passing score is 300. This exam is purely based on single and multiple choices questions. Easy to answer without simulations. After I finished the exam, I jumped on http://mylearn.vmware.com and try to take a peak for next level exam VCAP4. 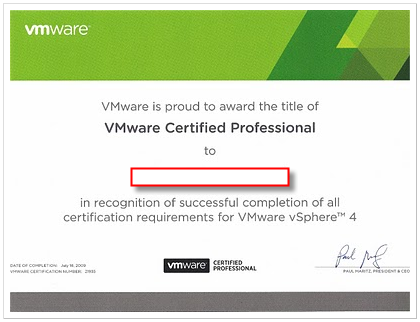 VCAP4 has two different certificates. VCAP4- Datacenter Administration and VCAP4 – Datacenter Design. I have downloaded the blueprint for VCAP4- Datacenter Administration (which is only available data at this time). After reading this 100% lab base exam blueprint, I have to admit it almost knocks my socks off. This exam requires you to know everything and how to configure everything. From FT, to MCSC, from vMA to troubleshooting. With vSphere 4.1 just released, I’m pretty sure it’s going to be much complicated than what it was before. Well, if it is a required to be a VCAP4, so be it. What is Vmware Future look like in 2011? This is not exactly a technology post. But I would like to use this opportunity to discuss few interesting things developing in the Vmware and virtualization world. 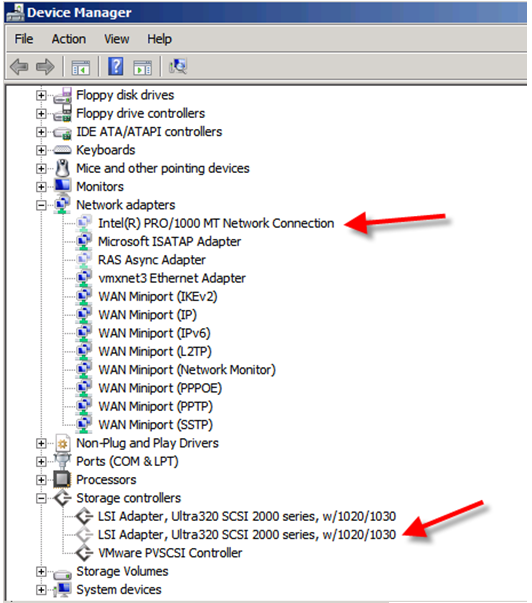 What’s going on with Vmware world 2011? I have read some content lists of Vmworld 2010. If you pay attention enough you would discover Vmware finally started to focus on optimizing their system and develop real piratical applications instead of spending time to build new infrastructure of future Operating system. If you can recall what happened last year in vmware world 2009, Vmware pushed out Cloud system but it was not well accepted by most of companies. Most people had doubts in their mind and confusing on their faces. The idea of if system is not broken, don’t touch it and also falling global economy environment ring bell much louder than anything else near IT Managers ears. So this year of Vmworld 2010, Vmware noticed how important education of Cloud and also practical applications are. They started to turning back to pick up lost customers who they left behind before and help them with vShield, Charge Back and Capacity IQ, AppSpeed. Oh, yes. The great 4.1 is out. It’s not 5.0 or new cloud system. It’s just a service pack according to Vmware. Like what I mentioned before, the major feature of vSphere 4.1 is turning their system and try to add more practical functions. Why? Because vSphere 4 is not that great comparing with ESX 3.5. Yes, some hardware performance get 10% up and some new features like vDS,FT or Data Recovery sounds pretty. However, is this a real necessary to “must upgrade” or it’s just another “nice to have”? If you went through the list of difference between vSphere and ESX 3.5, you would see the whole point. Please count how many exactly new features vSphere will bring to you. Yes, ESXi is better than ESX, but it’s not a must. New backup method is interesting, but current backup is doing ok with third party software. DR does sound nice. But it does also require a whole new budget and SAN level support. vDS is simply not necessary. vSS is great for normal job. View is not as good as Citirix Xen desktop. ThinApps is not bad but it can’t compete with native support from Microsoft vApp. Especially, MS has lots of experience on managing and deploying Applications. Don’t mention vShield and VMSafe, those 2 applications are not practical at all. Let’s hope vSheild 2.0 will be better. Oh, yes. There is War coming. Ms is attacking from both hardware level (selling servers with Cloud OS in built) and purely software level (just hosting your MS office application , Email and sharepoint online). Vmware shake hands with Google, EMC, Cisco and allies has been formed to fight this giant software company. Microsoft , Vmware, and Google have already hosting their cloud internally and Virtual applications will soon spreading everywhere and hit every corner on this earth. 2010 is a quiet year. But if you look up in the sky, the gunpowder colour cloud rolling from the edge of sky, bleached lighting merging and swimming in deep layers of clouds. Are you ready to choose side? Have you embrace yourself and ready for impact? 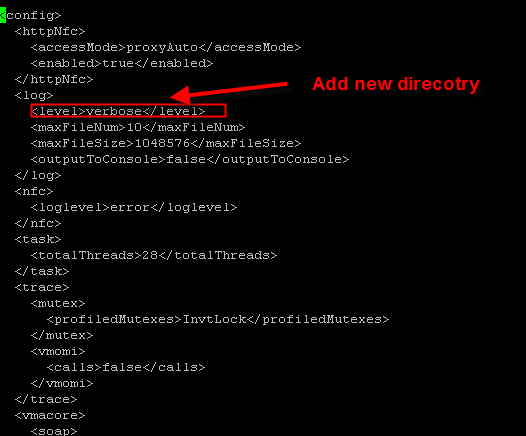 This is second post regarding Troubleshooting Routing for ESX. I only post a diagram without actually commands. The reason for that is every environment use your own system to monitoring and manage your ESXs. 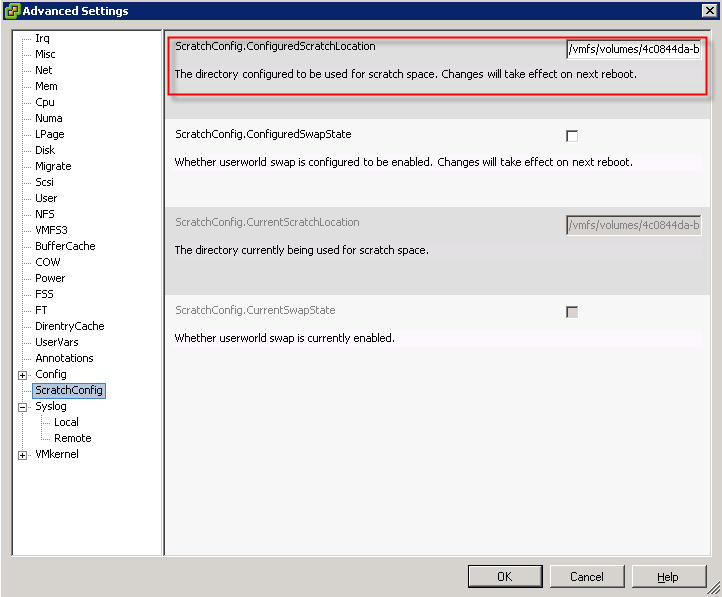 You may use vMA, vPowerCLI, ssh, vCenter, even SVCMM. However, the steps you will diagnosis your system should be similar. Please let me know how you would do it. I have fixed PVSCSI few issues in my another post. Please check out if you do encounter problems. I really hope you guys like my last series ESXi era: Using ESXi to replace ESX. I will start a new series which is upgrading ESX 3.5 to vSphere. I believe lots of companies are facing with this issue while ESX 3.5 support reaches it’s own lifetime and vSphere become more matured. This series is not only talking about how to upgrade, it also discuss how to optimize your performance and new technology used in vSphere. Since this is a large projects if you have big environment, I would like to break them down and bring them to you with not exactly project wise order. I will make a list of ordered posts at the very end of this series. All right, let’s hit the ground and roll out! 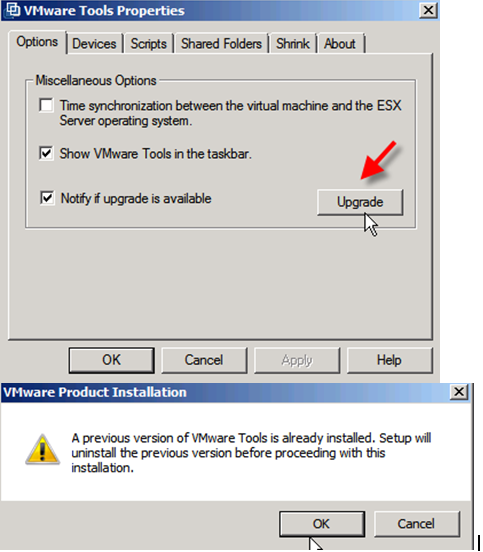 One of issues for upgrading ESX3.5 to vSphere is to upgrade your VMs. 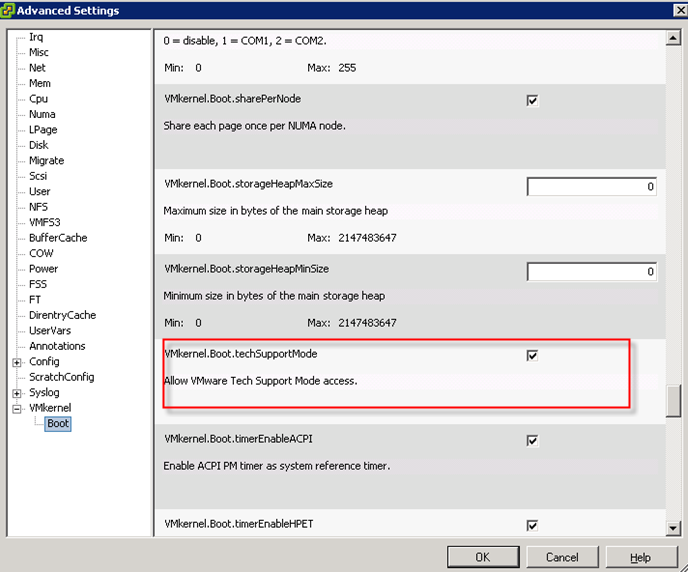 Your VMs are using Vmware hardware version 4 which doesn’t give you too much performance boosts. I’m going to guide you through how to upgrade a VM (I’m using Windows 2008 R2) to new version and optimize more. There are lots of detail information will be blended in this process. In my test environment, I have a vCenter 4 U2(build 258672) and 1 ESX 3.5 U5 (build 226117) and ESXi 4.0.1 U2(Build 261974, You have to redownloaded this version of ESX 4 update 2 since latest update has issues with View). I added those 2 hosts into vCenter at same time which will be exactly similar situation you will encounter in the future. So I created a VM(Windows 2008 R2) from ESX3.5 and ready to be moved to vSphere. This VM has 3 hard disks. 1 OS and 2 data disk. As you can see from this picture. be noticed that the nic card the vm current has is E1000. 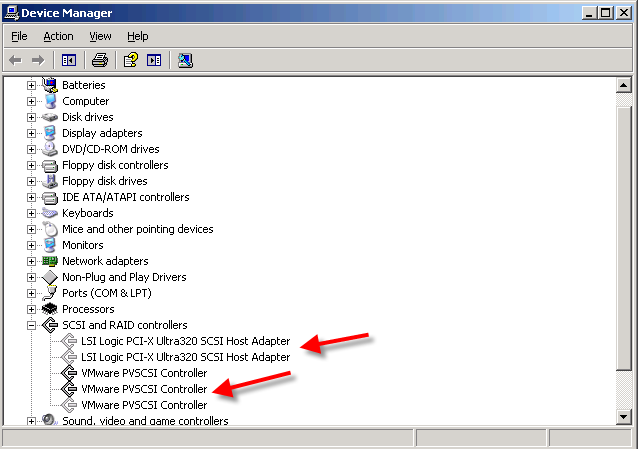 Also the SCSI controller is LSI Logic Parallel. As you can see from above picture, the OS is win2k8r2 and it’s running on hardware version 4. 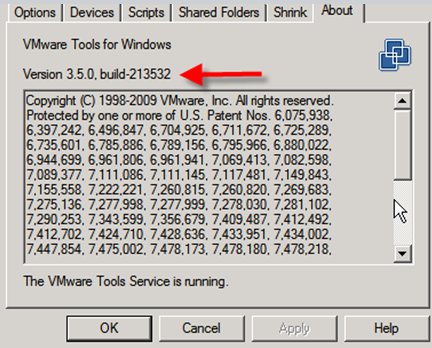 That’s the vmtools version running on that VM. 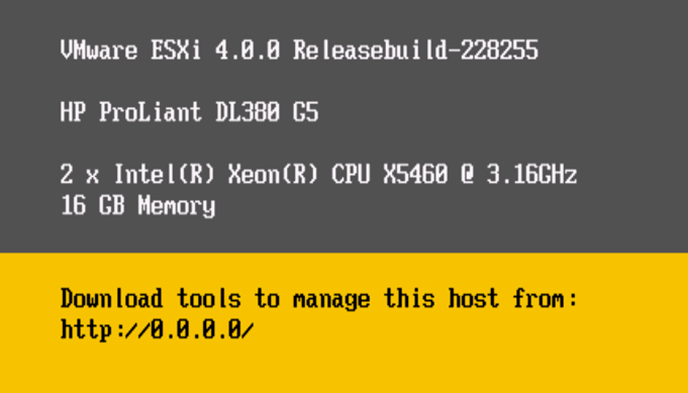 First step is to vMotion to your ESXi server. I’m not going to solve the issues you may encounter on the vMotion, but I can recommend you to shutdown VM if you have to. That will help you a lot in many cases. You are going to have outage for the following procedures anyway. the next one is to upgrade VMtools. 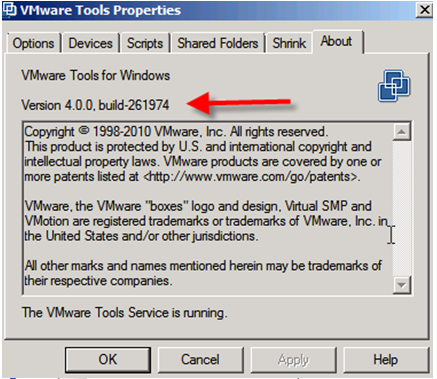 You must upgrade VMtools before you upgrade VM hardware. Otherwise, you may encounter missing and hidden drives issue I will mention later. 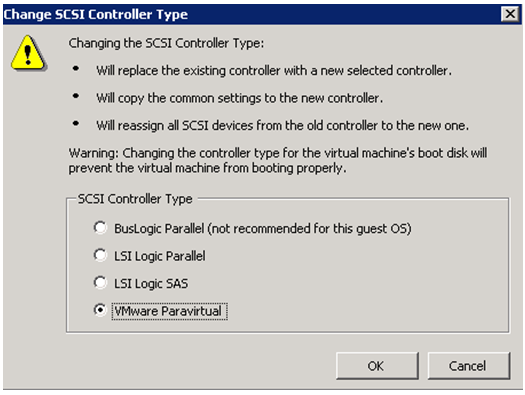 So you can either upgrade manually in VM console or just right click VM and choose guest->Upgrade vmtools. 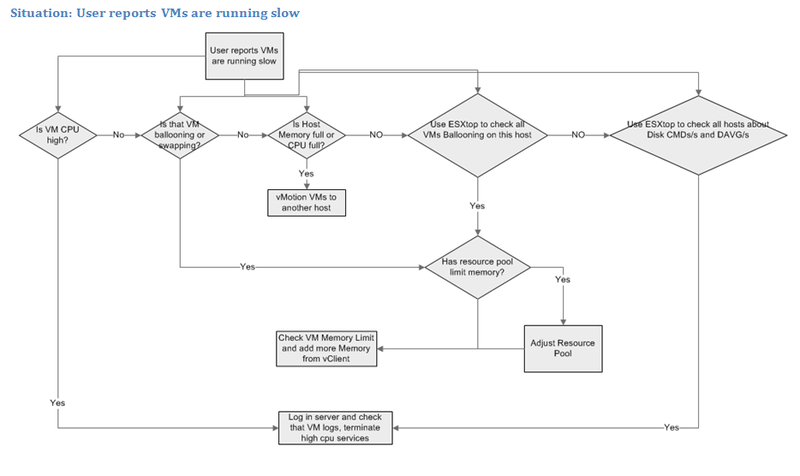 Be noticed Upgrading VMtools will cause restart your VMs. Make sure you have turned off your monitoring services. After upgrade VMtools, you should able to see new VMtools version. 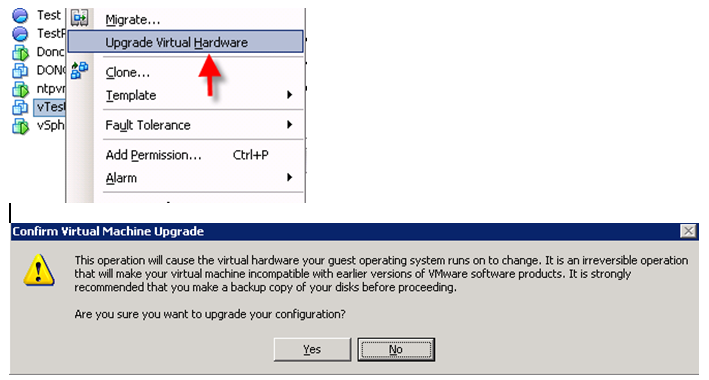 VM hardware upgrade option will only appear when the VM is off. Hence, you need to power off your VM and right click Upgrade Virtual Hardware. 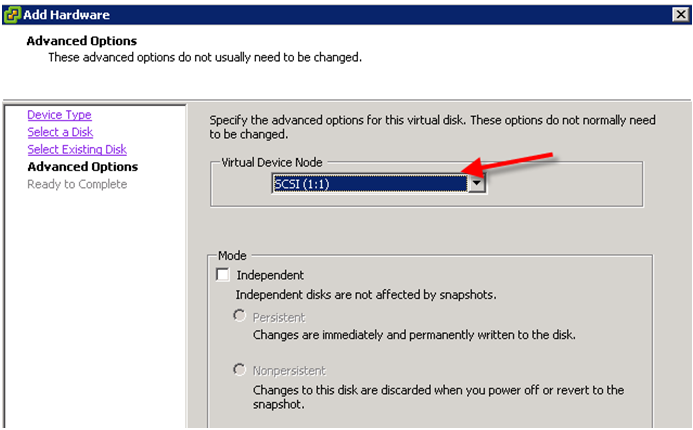 Notice: Once you upgrade your VM HW to v7. 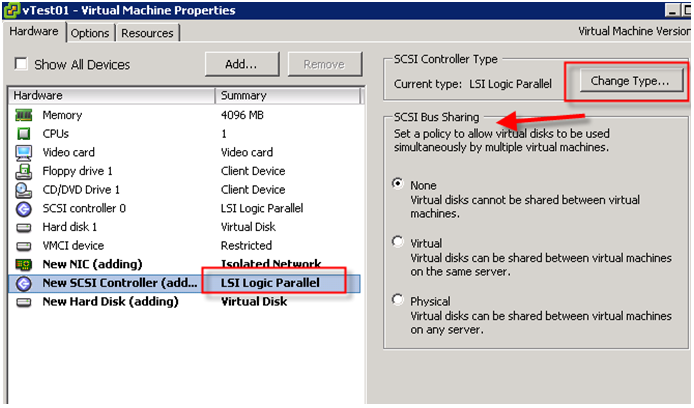 You can’t vMotion VM back to ESX 3.5 server. This is result of upgrading VM hardware. The Hardware version is 7. Nic is still using same nic which is E1000 in this case. Be noticed there is a new VMCI device added into your hardware list. VMCI in default is disabled. so What is VMCI? The Virtual Machine Communication Interface (VMCI) is an infrastructure that provides fast and efficient communication between a virtual machine and the host operating system and between two or more virtual machines on the same host. The VMCI SDK facilitates development of applications that use the VMCI infrastructure. First of all, VMCI is fast. Instead of going through 1Gb/s virtual nic to communicate other VMs, it directly use memory to exchange data with other VMs on the same host. It can reach 24 times as fast as 1Gbps network connection in some case depends on your physical memory structure. then, why not uses it? VMCI basically requires not only OS to support it, it also requires application to use VMCI stack instead of traditional TCP/IP stack. At this day, not many applications can do that. That’s why it’s disabled in default. All right, let’s move on. so Hardware upgrade finished here? No. If you stopped here, you will lost a huge chunk of performance boost. There are at least 2 technologies you can apply to your VM so you can gain performance up and utilization of CPU down. They were able to achieve 350,000 I/O operations per second on a single vSphere host (ESX 4.0) and with just 3 virtual machines. Their testing utilized the EMC Enterprise Flash Drives, which have an incredibly high throughput. They talked about how the VMware Paravirtual SCSI (PVSCSI) adapter was able to achieve 12% more throughput with 18% less CPU cost compared to the LSI virtual adapter. There are also downsides with PVSCSI. First of all, it does support bootable disk officially after U1.I have tested building new windows 2003 and windows 2008 with PVSCSI as boot disk successfully. All what you need to do is to connect floppy disk image when you install windows. 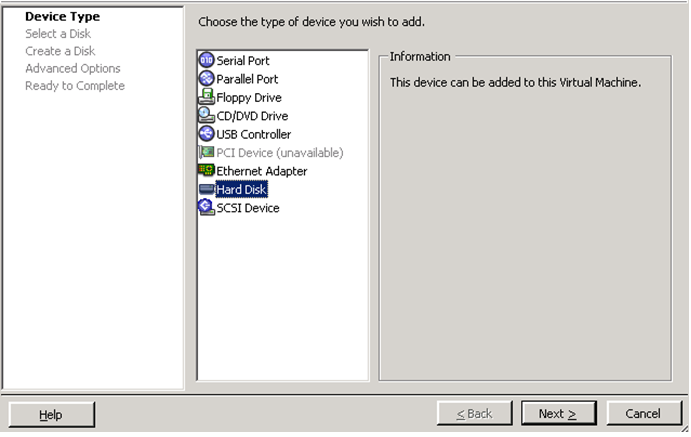 Then, you need to hook up with PVSCSI floppy image which you can get them into 2 ways. Please follow this link to get more information. 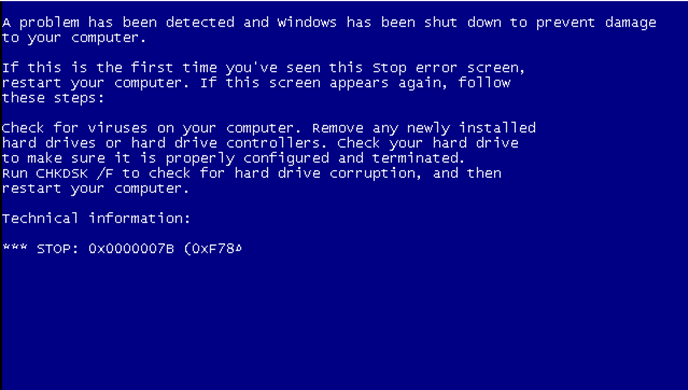 From my tests, it failed when I tried to use it on existing boot disk on windows 2003 server and windows 2008. It also doesn’t support FT as well. But It’s worthy to use it. The other technology is new VMnic card. Generation 3 (VMXNET3; newly-added in ESX 4.0). The paravirtualized network adapters in the VMXNET family implement an idealized network interface thatpasses network traffic between the virtual machine and the physical network interface cards with minimaloverhead. 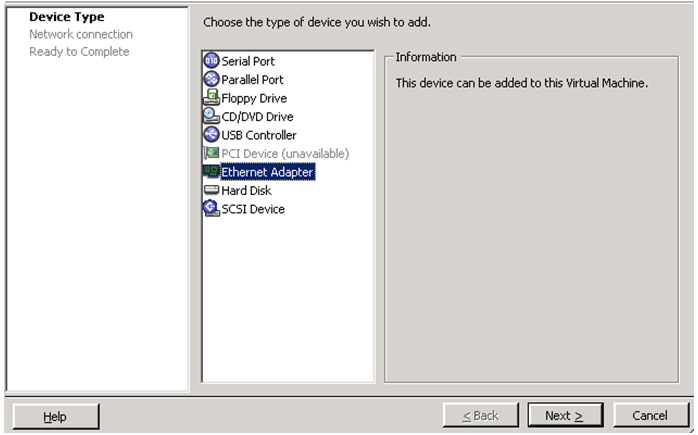 Drivers for VMXNET-family adapters are available for most guest operating systems supported byESX.The VMXNET family contains VMXNET, Enhanced VMXNET (available since ESX 3.5), and VMXNETGeneration 3 (VMXNET3; newly-added in ESX 4.0). There are some tricky way to implement those hardwares. Let me demonstrate you as follow. First of all, you need to know what’s your current IP configuration of E1000 card. 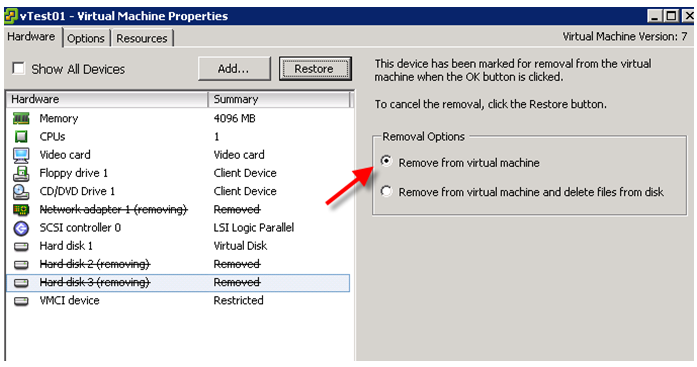 Then, you can deleted the E1000 card when VM is power off. 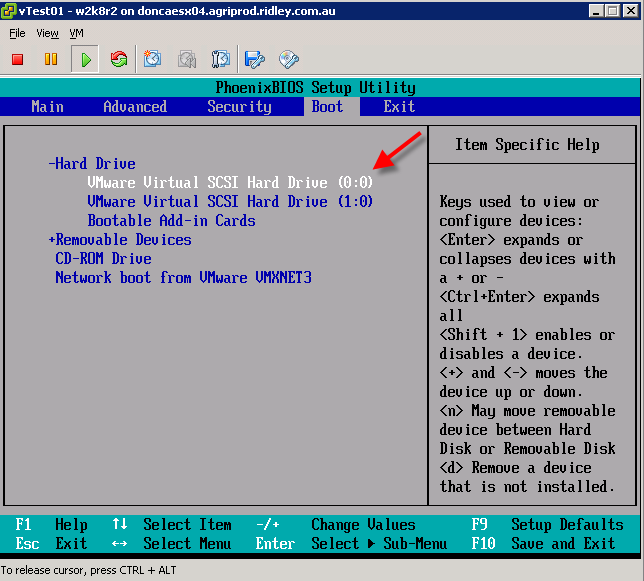 Now, switch to one of non-boot disk and notice that disk is connecting to SCSI(0:1) which means it connects the our first SCSIcontroller. Now, you need to remove (disconnect) your 2 non-boot disks. Make sure you are using “Remove from virtual Machin”. 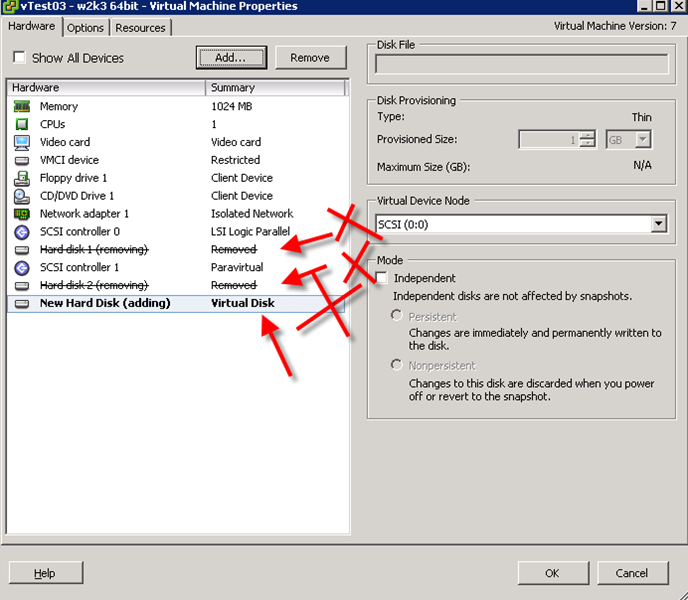 You don’t want to delete vmdk file from disk. then, you press ok to apply these operation. Your VM settings should like this picture. Notice VMCI device is not enabled. We have already removed all old hardware now we need to reinstall them. Click Add to add new Ethernet Adapter. 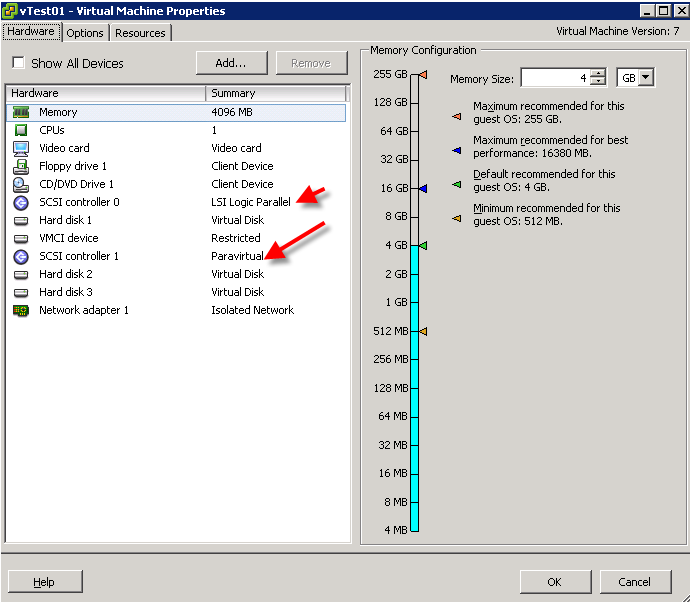 Select VMXNET 3 card. Finish the wizard. Now, let’s add (connect) removed hard disks. Be aware you will gain second SCSI controller during the procedure as well. You have to choose SCSI (1:0). It will start install additional SCSI controller. At this stage, you don’t have choice to choose type of SCSI card, but you can do it later. Be aware new SCSI controller is there. Also new hard disk. Now, you can modify the type of that new SCSI controller. 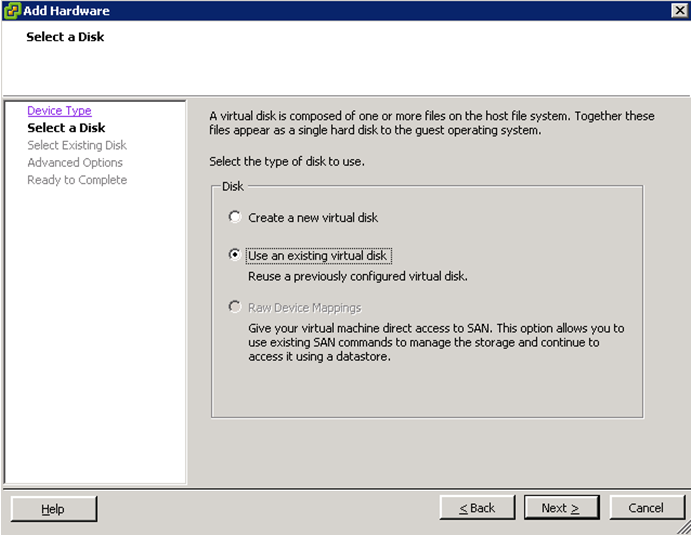 With vSphere, you can let multiple VMs to access same VMDK as well. It’s time to add another removed disk. That’s what it look like after finishing configuration. After finishing configuration, it’s still few steps from making it work. You added and removed hardware for that VM, but VMWARE didn’t actually removed the hardware from OS level. What it did was to hide removed devices instead of actually removing it. so you have to do it by yourself. Now, let’s start VM and restart it with it’s request since we added new hardware. Just be aware the IP address has lost since we are using new nic. We have to get into system to remove old hidden nic card so we can add ip to new card. As what I mentioned above, the old card is still hidden and with IP configuration. 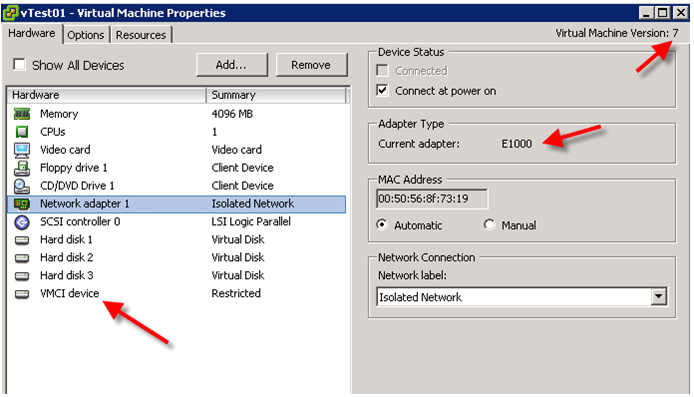 Since Windows doesn’t allow same IP to apply to nics in the same box, so you have to removed the old card. After you finish restart, you log into vm via console and open command window and do following step. There is also another trick. You must start device manager not computer manager which contains device manager. 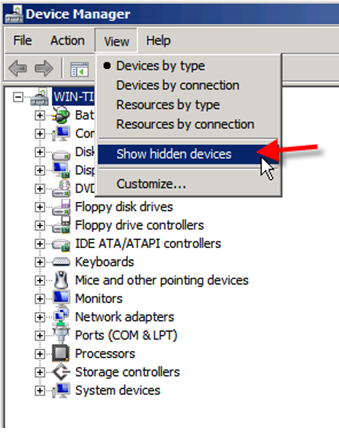 If you use computer manager, you won’t see hidden devices. so once you opened device manager, you should see following picture. You still to enable show hidden device. But if you don’t set environment variable and open device manager, you won’t able to see those hidden devices. Next step is to remove those hidden devices. then, you can add IP and finial picture should look like this one. All right. This is end of part 1 of Upgrading ESX 3.5 to vSphere. I explained how to upgrade VMs and also use the new technology in vSphere. I hope you will like it and please feel free to leave comments. 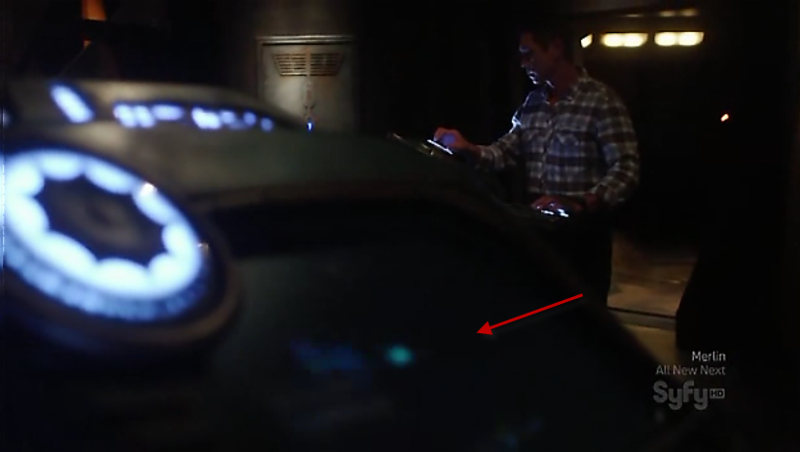 StarGate Universe: the ancient is using vSphere and vMotion technology!! Slight spoiler alert! 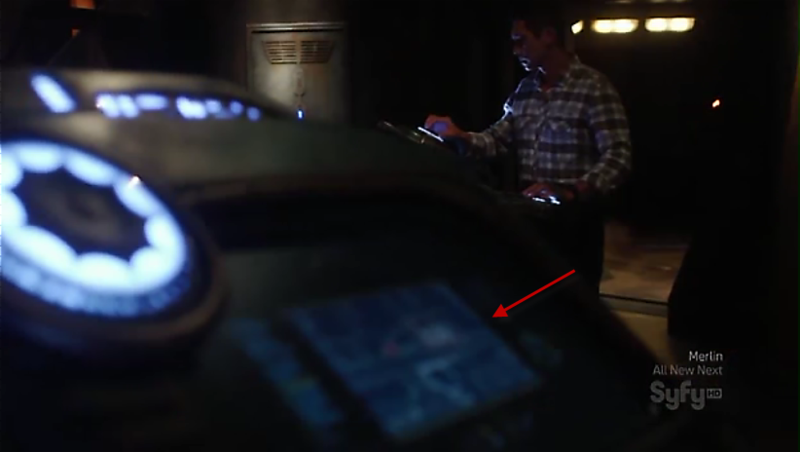 If you haven’t watched SGU, you may not want to proceed. I just watched Star Gate Universe, season 1 episode 20. 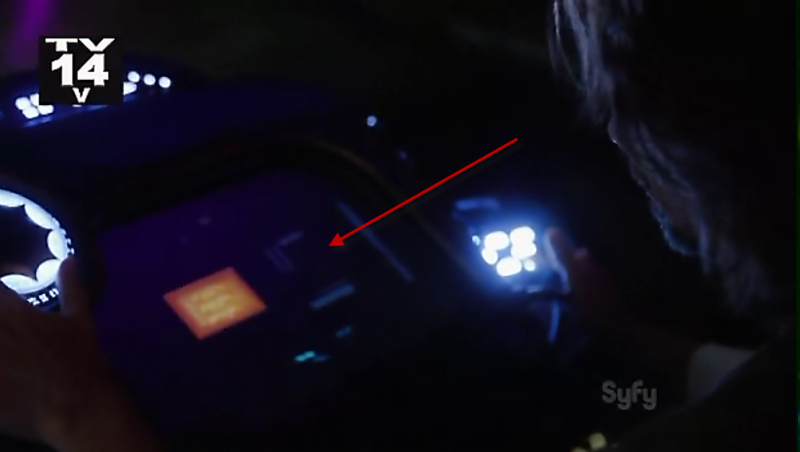 This is the last episode of this season which actually discovers the Ancient is using vSphere technology especially vMotion in their spaceship “Destiny”. 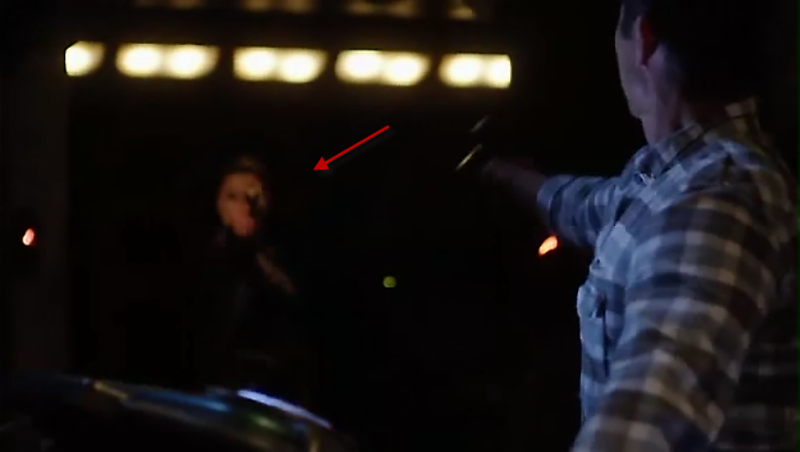 First of all, let me give you a brief introduction about what happened to this scene. 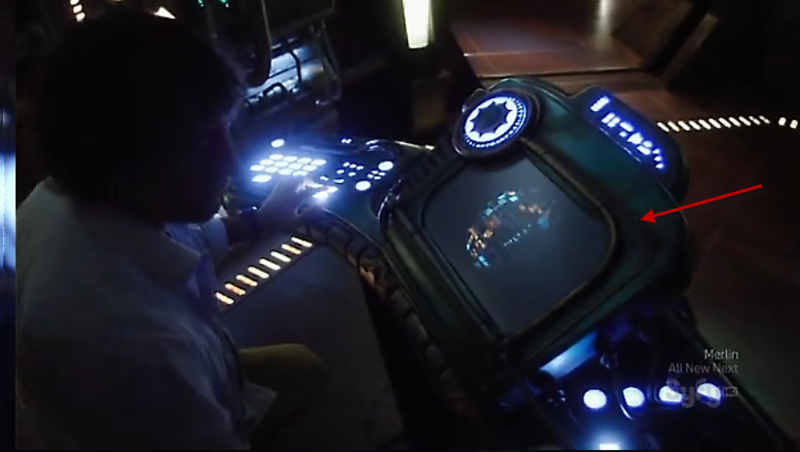 Basically, this scene is about transferring control console between 2 different locations. Telford (undercover agent) is trying to transfer Destiny consoles to Dr. Rush who is located at another location of ship. Then, his transfer was stopped by enemy and Dr. Rush only got some consoles. 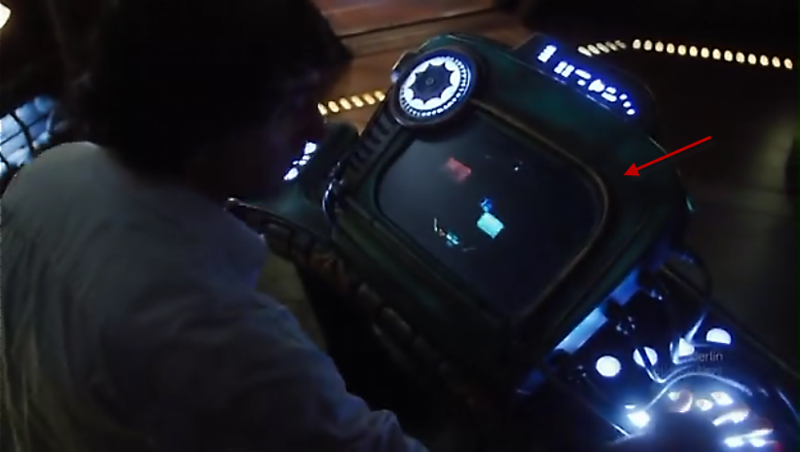 This is original consoles. Telford started to push buttons and commit vMotion to transfers all vConsoles to Dr Rush. This picture shows all consoles start to minimize themselves one by one and disappear from this end. Dr Rush team has received the console. 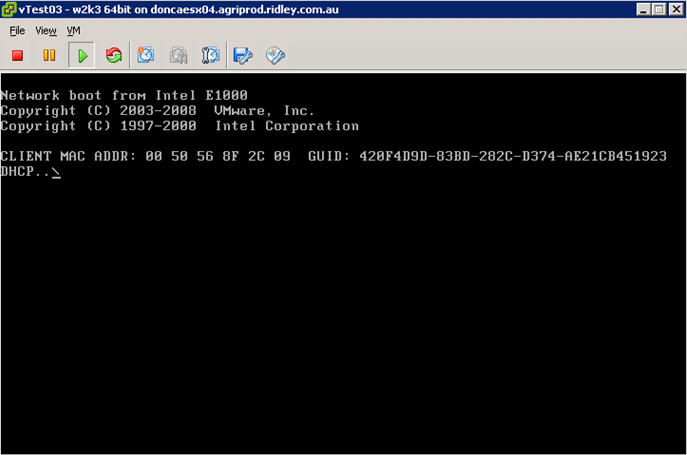 This Dr open a vSphere (Gee, it does like a sphere with all console in) and start to receive all consoles via vMotion. All received consoles start to zoom in and maximum window and disappear. This means they have got those consoles but not all of them. Under covered Telford is found by enemy. They started to shoot each other. Then, somehow, it also stopped transferring console vMotions. That feels unlikely, but anyway, this is TV series requirement. Is he a VMware fan as well? Here we are. 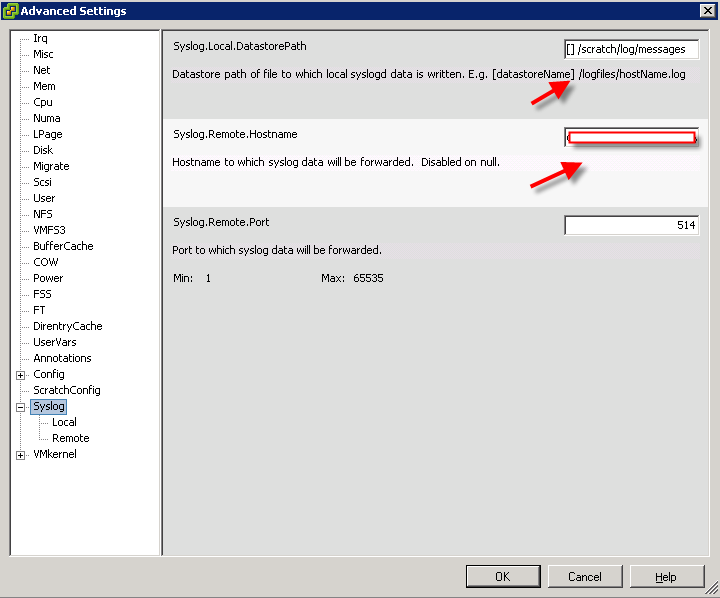 The forth part of Using ESXi to replace ESX. Somehow I start to have feeling I’m not just updating my blog but also I’m writing a book? This ESXi series is getting longer and longer. But there are still much more to talk about if we want to use ESXi to replace ESX in the production. At the end of last post, I was showing everyone this picture. This is default result after you finish installation on your host. This interface called DCUI. 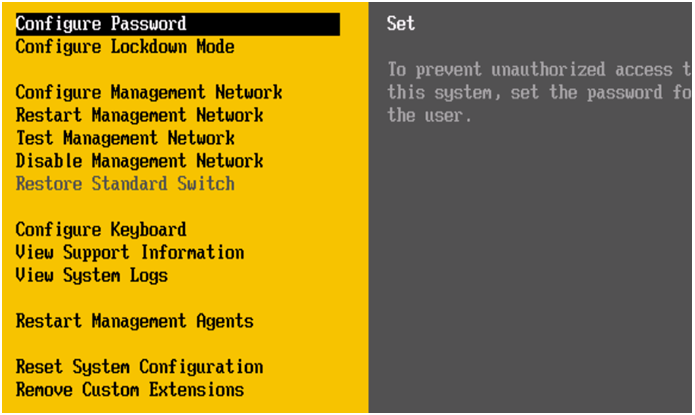 Direct Console User Interface (DCUI) — the low-level configuration and management interface, accessible through the console of the server, used primarily for initial basic configuration. Please consider DCUI as lower level which means it’s more like backdoor of ESXi which allows you by pass any other security mechanism. 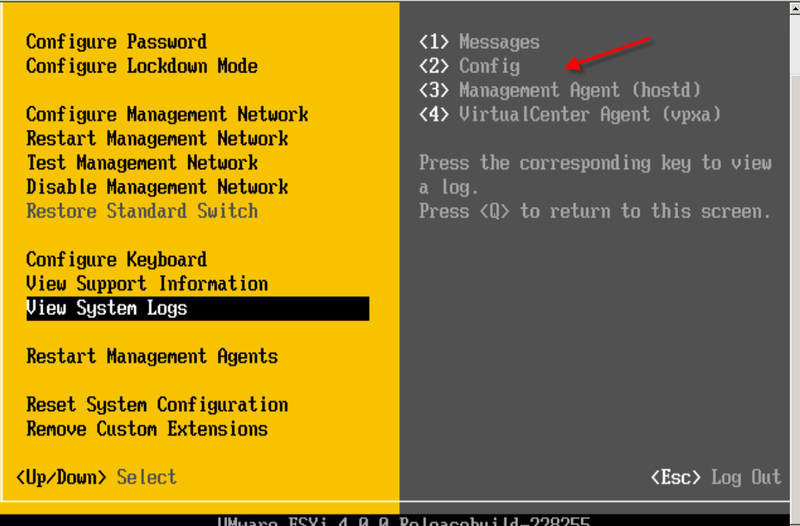 You can use DCUI to setup root password and manage your ESX box. There are couple of things I would like to point out within DCUI. Default root password is empty. Using DCUI to setup one ASAP. The only way to setup ESXi initially is to use DCUI since ESXi box doesn’t have IP, root password is empty and SSH or other protocol is disabled in default. All what you need to do is to assign nic to management network. 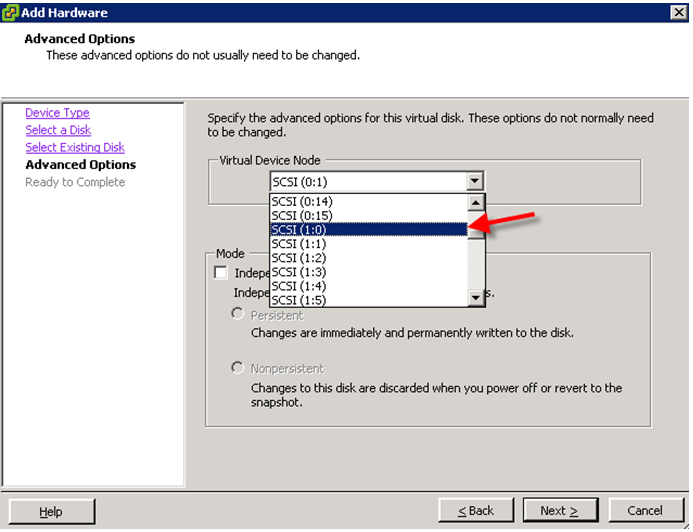 Unlike ESX installation which will give you choice to choose which nic will be vmnic0, you don’t have choose in ESXi. Meaning, you better make sure all ESXi HOSTs are using same Hardward otherwise, you may have some issues on choose right nic and plug right nics to right switch ports. Do not try to setup secondary gateway in you vCenter it will bring your Service Console offline.ESXi doesn’t have Service Console meaning you can’t setup 2 different gateway for your vmotion network and management network (in ESXi, we call it Management Network) or iSCSI. 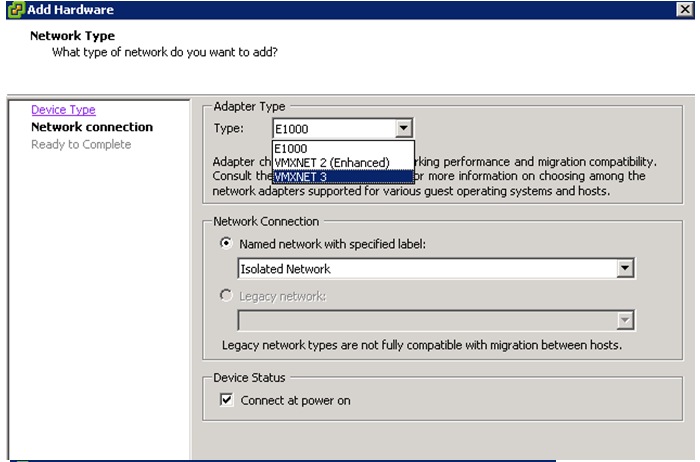 Considering Management Network as normal network which can have multiple network cards but only one gateway is allowed. The solution for this is to use esxcfg-route to setup multiple routing in your ESXi just like normal Windows. By saying that, your secondary network gateway in default is local subnet. So you don’t need to setup this one unless you want to customize it. Use DCUI to clean up wrong assigned NICs if you made mistake. 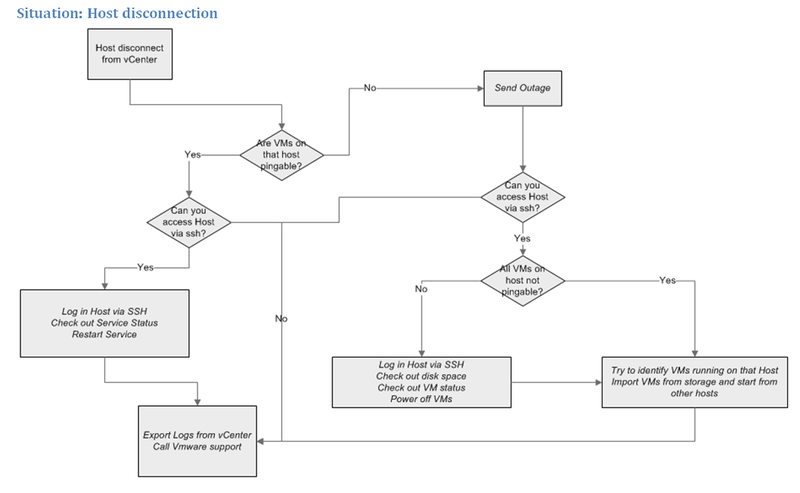 The other function of DCUI is to recover nics from other vSwitch if you accidently lost connection to Management network by assigning wrong NICs. By default, SSH is not enabled. You can enable ssh by following my instructions. Please be aware that enable SSH is not safe from security wise. ESXi Update doesn’t update SSH parts since Vmware believes it’s not official to access your ESXi box. Best practise is enable your ssh only when you want it. Disable it after you finish your operation. inetd is a daemon which is monitoring all network activity and it will starts appropriate daemon to interactive with request. 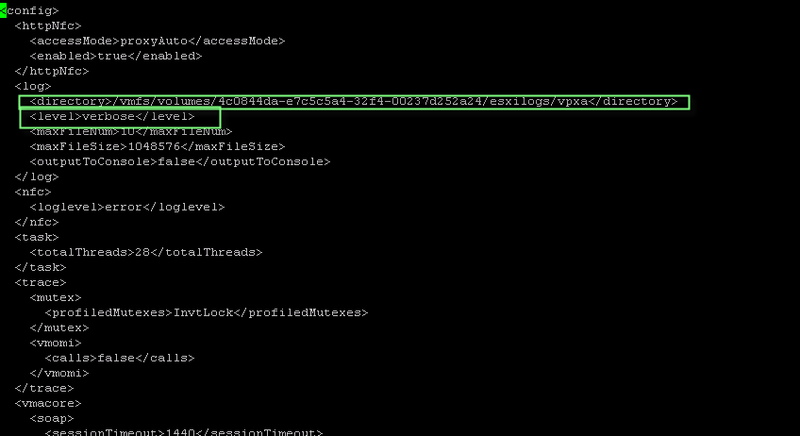 Using KILL command to terminate inetd will make inetd reread inetd.conf and restart daemon. Yes, that’s actually enabled by default, believe or not. If you press Alt+F1 at Console, and type “unsupported”, you will get chance to type in password so you can login and run some commands. There are too much discussion about this on the Internet. so I don’t need to explain too much. You need make sure that check box is selected to get this function. If you read my previous post, you would know ESXi automatically create 4GB scratch partition. 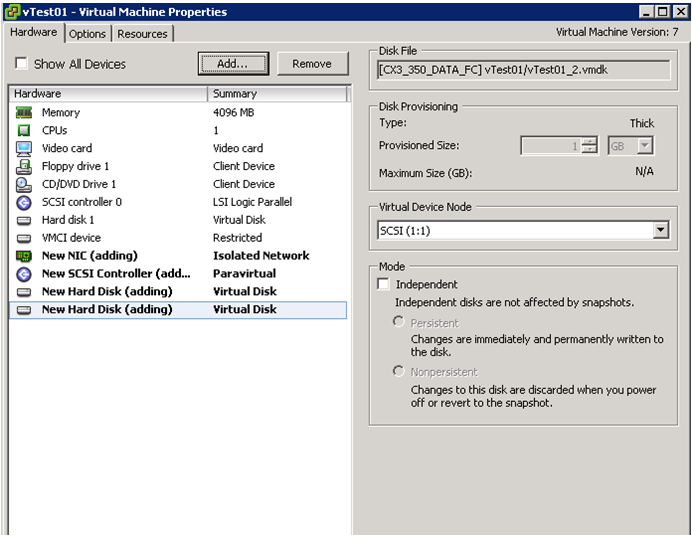 This partition is to use to store vmware upgrade file or other temp files and even log files. You need to make sure the space of that partition is big enough. Double check the path in this column. If it’s necessary, feel free to move local storage. 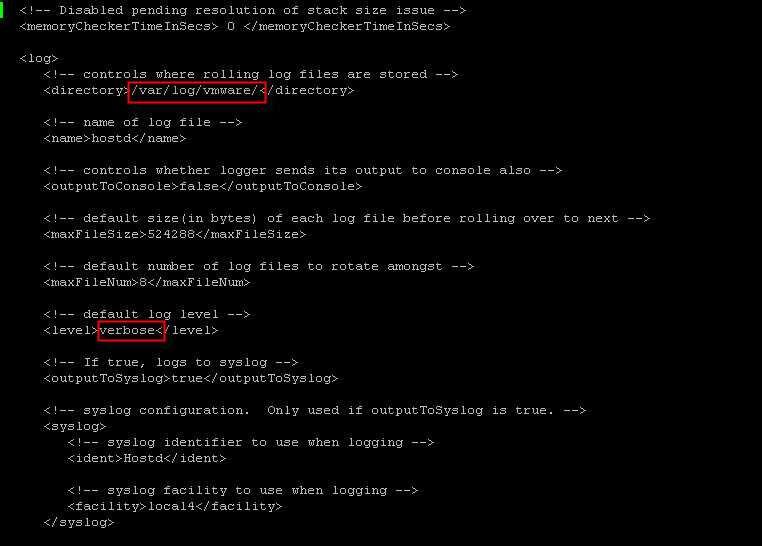 The funny thing about log is it is setup as in normal verbose by default. But verbose log won’t help you at all when your server crash. You pick up phone to ring Vmware support and they ask you to export your log and tell you that your log isn’t detail enough to give whatever they want. So you have to come back and setup to different level and wait for disaster happening again. 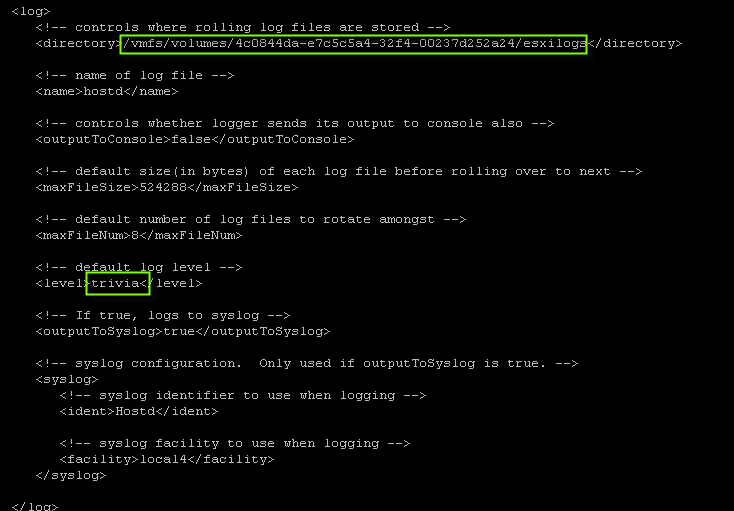 Also, you can move your log files to another location and setup remote log server at same time. I will discuss it in future post. 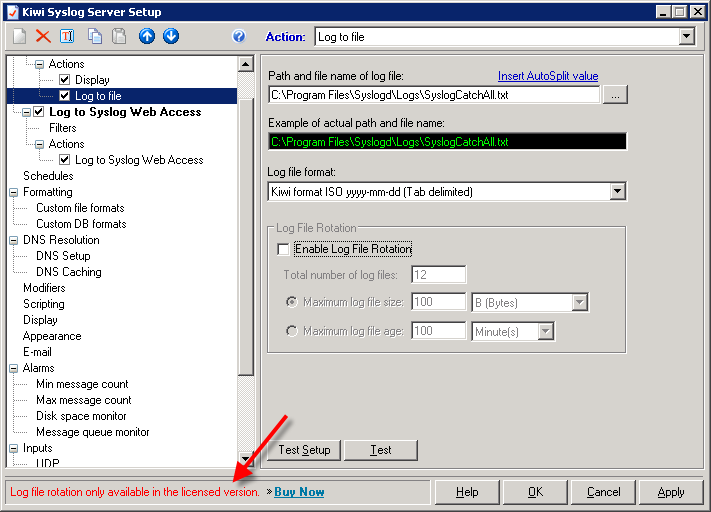 Feel free to move logs location to local storage in VMFS. Warning: Please be cautious when you backup and restore your data. You have to make sure no VMs (on/off doesn’t matter) not sitting on this ESXi HOST. Otherwise, there will be orphaned VMS from Local Host database meaning that some inconsistent vms will become orphan from VC. Solution for this one is to remove orphan VM from VC and reimport it from storage. 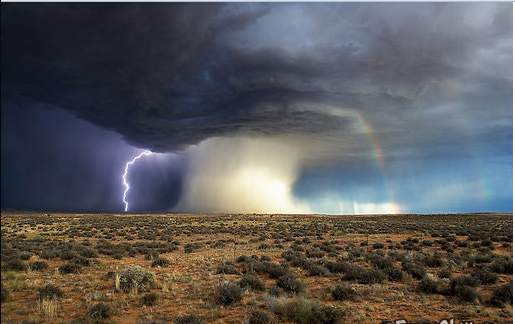 (This picture shows how to backup. But you have to connect to right host first). With this new version of ESXi, you can backup your ESXi data into a single file from vMA(please refer to my previous post). Then,you can schedule to backup daily. The content of backup is not txt format. 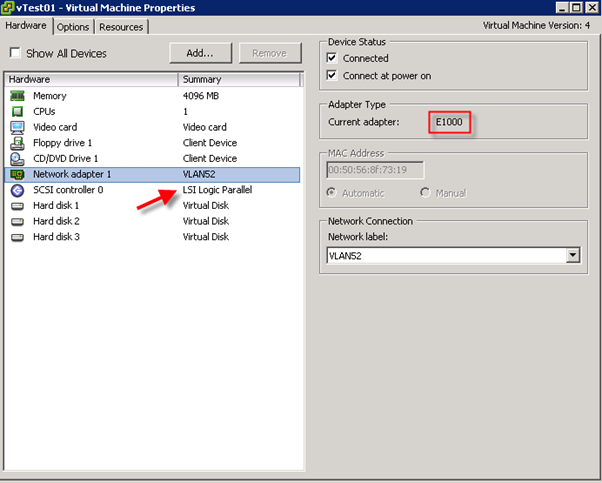 It is not only including network configuration, special settings on Advanced Settings, it also includes all registered VMs information as well. 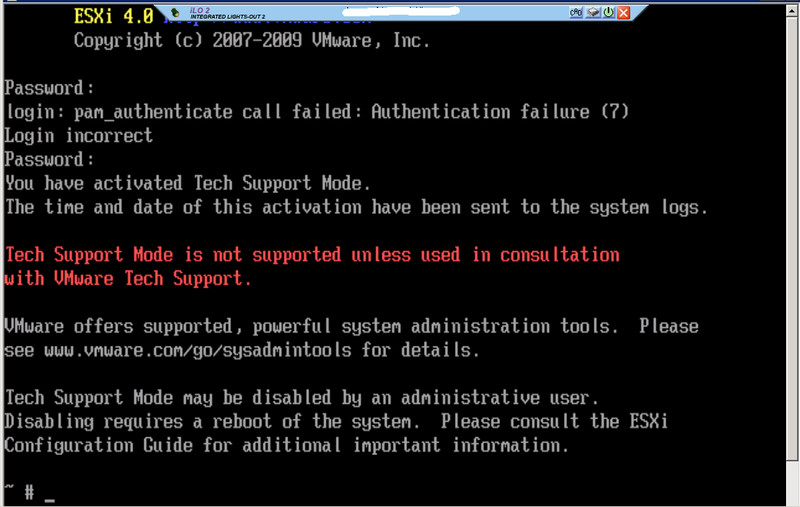 Therefore, when you restore your ESXi configuration, you will encounter orphan VMs. You have to face with it when you restore your configuration. Clean up duplicate orphan VMs. That’s all.